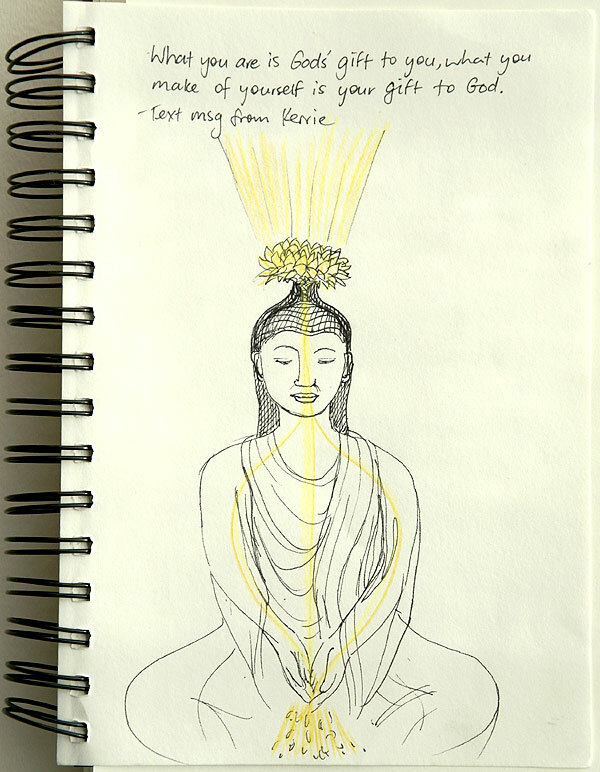 On this occasion it was a text message: “What you are is God’s gift to you, what you make of yourself is your gift to God.” The words touched me in a way that I was compelled to write it down and sketch what came to mind. I think the lesson here will be different for everyone as our natural abilities and “God-given” gifts are unique. What we do with the talents we have and how we choose to use them further defines the person we become.